For the people of a playwork persuasion out there, I offer up a first draft addition to the well-worn Playwork Principles (they that shall be followed, and not scrutinised: the Holy Scripture as it were), which I shall provisionally call ‘The Ten Commandments of Playwork’. (OK, so the list is longer than this, but ten is a whole number, see!) We can be a bit of a closed shop in playwork circles (and this post may or may not go some way towards perpetuating that; you decide). So if it gets the non-playworkers of the world thinking ‘what is this guy talking about?’, also good, but really the ‘Ten’ Commandments list is looking at where we’re at in this field of work with children, and maybe parts of where we could be at, but mostly just asking for a little more thinking from playwork and potential playwork people (in the spirit of continuing to examine what’s real on the playground and what’s just theory). 1. Thou shalt know the Playwork Principles in spirit, if not by heart. 2. Thou shalt not commit adulteration. 3. Thou shalt believe wholly in Saint Bob of Hughes. 4. Thou shalt walk the walk as well as talk the talk. 5. Thou shalt not covet thy neighbourly playground’s loose parts. 6. Thou shalt know not of the ‘circle of play’ (as spoken by pretend believers) but of the ‘play cycle’. 7. Thou shalt be recalcitrant. 8. Thou shalt challenge and be challenged. 9. Thou shalt not lie with dishonesty about thy feelings on play. 10. Thou shalt be observant. 11. Thou shalt not encourage ‘play nicely’, ‘share toys’, good citizenship, or practising fine motor skills. 12. Thou shalt be excellent to one another (dude! ): reference Bill and Ted, those of such notable age! These Principles are still the cornerstone of what we do, getting on for ten years old now in their present form, but ask most playwork students who are a good halfway through their course what the Principles are and I’m willing to bet that they’re not totally up to speed with them. Maybe, as trainers of the discipline (or whatever we like to call ourselves) we’d be wrong to impose a Michael Gove-style rote-learning of the Principles on our learners (by pain of the promise of extra lines, chalk dust, and red ink scrawled in wallpaper-decorated exercise books: ‘see me after class’). Can any qualified playworker cite the Holy Scripture of the Principles word for word? (No looking now: only you know, and you’d only be cheating yourself if you were to lie). So, if a playwork student or a post studentdom playworker can’t (or won’t) quote the Principles verbatim, is it too much to expect them to know what they mean in spirit? Shouldn’t they at least be able to reduce it down to numbers? Principle number 1 is roughly about this, Principle 2 is something along the lines of . . . and so on. Or is that too difficult? Maybe there should just be a rough idea of the fact that the Principles exist, that by and large they’re a good thing (maybe), and that we don’t really need to pay too much attention to them in the ‘real world’ of the playground or after school setting. After all, we can get our qualification, much like our spanking by the irregular and feared Mr or Mrs Ofsted, then we can forget all about it. Can’t we? Now, in the ‘real world’ doesn’t children’s play get ‘adulterated’ all the time? That is, adults exist in amongst the things that children do (in the physical spaces, in the psychological and emotional zones that develop around the playing child or children), so maybe we should just all accept that and realise that children are much better off with adult instruction (being for their own good in the long run, after all) . . . OK, regular readers here know I can’t go on with that line of thinking. I can only go so far in a certain direction when playing Devil’s Advocate! If I’m thinking on this seriously, I do often reflect back on my own work with children and wonder if my actions are a hindrance, or something other, for them. Children do sometimes ask for direct adult input into their play (including, but not limited to, ideas and so forth) . . . I’m on thin scriptural ice here. This needs more thinking about. Playwork people: just because Bob’s been around since play began (a few epochs before the invention of gravity), it doesn’t mean he can’t be challenged. I’m pretty sure he’d welcome that. Bob has written some good playwork stuff (‘good’ because no-one’s out-trumped his play types thinking yet, for example), but surely you can only ‘believe’ if you also ‘do’, and so then come to the conclusion that your ‘doing’ matches what the ‘scriptures’ say. Right? If they don’t match, then don’t believe, but say it and say why. Basically what I’m trying to say here is, in using Bob as vehicle for an argument: too many playwork people blindly follow too many other playwork people. If you’re thinking about playwork and calling yourself a playworker, it follows that you’re doing playwork, right? Clean soft hands, undirtied and unpaint-stained clothes, focused only on the vast amounts of money pouring in at the end of the month (in playwork? Right!) . . . you talk it well in your studies, but maybe that study ought to connect more to the mud- and paint- and rain- and glue- and gob-spattered reality of the playground. Does it really matter that the children down the road are lavished with all sorts of wondrous objects with which they can investigate those objects’ inner lives (the standard sports equipment prevalent in many after school facilities might once or twice get used as something else). You have a whole heap of things that children can build with, horde away, destroy and throw around. Machine guns and swords might happen, or things that could even challenge playworkers . . . There are two arguments here in the reality of the playground: that not enough variety of random ‘stuff’ is on offer for children; that actually, contrary to scripture that harks back to the building sites of the 70s and before, children also like playing with little plastic things. I know, I don’t like that thought because it rattles the ‘odds and sods’ part of my playworker self, but it happens. Hmm. Is it because the staff aren’t thinking hard enough, or is it because we think we know best what children want to play with? 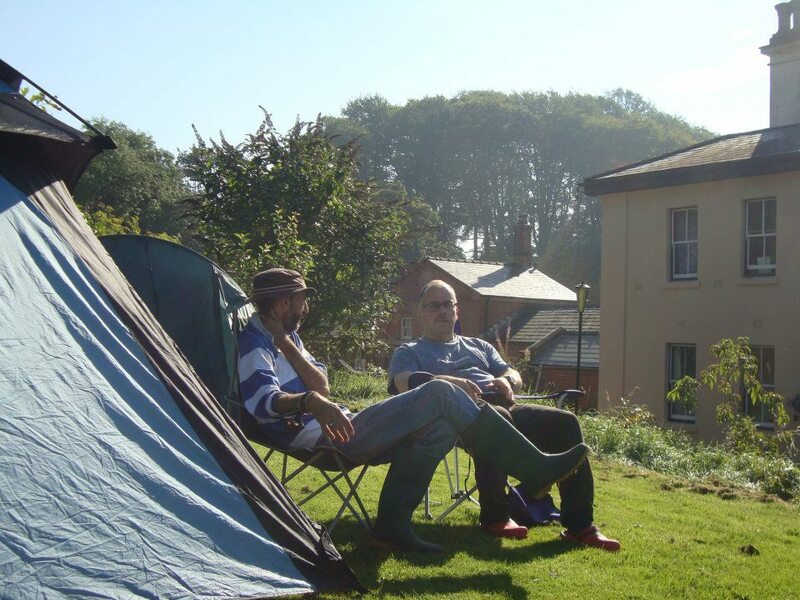 Saint Sturrock and Saint Else once penned the Book of Psycholudics. And lo, it was written that, after the metaphorical equivalent of forty days and forty nights in the desert, the Book of Psycholudics withered to its easily digestible ‘just the play cycle bit’. And lo more, it came to pass that, somehow, along the road to Damnation, the ‘just the play cycle bit’ fell further into disrepute by way of transcription into playwork course literature and by the watering down of many a playwork trainer (some of which came from the land of Early Years and didn’t always grasp it fully) . . . basically, I’m fed up of the process that seems to have passed from a fairly hefty academic paper to some student’s work that has turned it all into just a ‘circle of play’. If we have playwork literature, should we just accept that, like language, it gets transformed into what’s out there on the street rather than what’s in the books? Or should we be striving for the Govian ‘slap them round the back of the head with a wet towel until they get it’ compulsory learning approach? Can you really be a playworker if you don’t have at least one finger up to ‘the system’? How does that tally with all the checks and balances and hoops-jumping of the modern play ‘setting’? If you’re not thinking, you’re just drifting. Is that a good thing in today’s society of endless over-stimulation, pressures, targets, and Michael Gove? (Or Ofsted, or the boss, or your playwork assessor, or any other given hassle you have). Wouldn’t it just be a good thing all round if you were just drifting? You’d be happier; the children you work with would be happier not to have such a grim fairy as you moping round the place when you’re on your off day; your colleagues wouldn’t have to put up with your bad hair days, your bad boss days, your ‘today is not your lucky day’ days . . .
Or, maybe thinking about what’s going on about play can be a stimulation in itself . . .
Let’s face it, it’s easier not to have to tell yourself what you really think about when the children are charging around with sharp sticks, smacking the little ones in the face just because they can, kicking their mates on the sly and then saying ‘What, what? It wasn’t me. I was just standing here’, even though you watched them from five yards away. If we just didn’t own up to ourselves we wouldn’t have to own up to anybody else. Things would happen, we’d sort them out, we’d go home. Job done. Job done . . .? Why? What can we possibly gain from watching the way the children play on the playground? I mean, surely, everything they can get up to they already have done? What good will watching it all again do us? I will be honest with myself here (and with you) by confessing to the thought that is: have I seen everything now? What can I learn from what’s happening here? It soon often goes though, that thought: observing, you see, is a reward in itself. It’s like play for the player: if play is for play’s sake, observing can sometimes be like this. Observing rewards by grounding the observer in the moment. You’ll have to walk the walk for yourself on that one though. I’ve said it before and I’ll say it till I get bored of it: what does ‘play nicely’ mean? Really. So this is all about adult agendas and not about play, as played by the child, for the child’s own reasons (standard playwork scripture). What if I were to try to be Devil’s Advocate here though? What if ‘play nicely’ (whatever that turns out to be), sharing your toys, a religious practising of fine motor skills, and so forth, actually do turn out to make you good citizens in a perfect future society? Just think, no more war, no more greedy capitalism, no more crime . . . it’ll be great. Hang on, how long has this ‘let’s build perfect future citizens’ thinking been kicking about . . .? Are we there yet . . .? Cynical? Me? Nah. (Not much). This is not about good future citizenship: this is just a suggestion for being, now. (No future perfect progress rhetoric intended here). Be excellent to the children though, even if all else fails. Why? Well, because you can. Or because you could. You decide (though I hope you’ll just give it a little thought). Following on from the thinking in my previous post on the observation of children’s play, the playwork term ‘adulteration’ is up for further consideration here. It’s often seen as a rather odd idea by playwork learners! Despite its meaning of ‘making impure’ it is, after all, a word confused with other areas of some people’s lives in relation to being unfaithful to a spouse! This type of adulteration, in playwork, isn’t the same kind (although, thinking about it, it does contain a certain unfaithfulness: that is, not being faithful to children’s play). Two strands of recent thinking and experience lead me along this reflection this week: a recent teaching session in which I attempted to differentiate between the playwork terms ‘annihilation’ and ‘adulteration’ (which I’ll come to shortly), and consideration of blog- and social media material I’ve read where the writers seem to get quite excited about play or being involved in play. Play annihilation is the end of the play for the child at that time . . . when [the play] has no more meaning for the child, when the child has got whatever they were looking for from the play experience. Adulteration (from the Colorado Paper, 1998, by Gordon Sturrock and Perry Else): There is a danger that the play aims and objects of the children become contaminated by either the wishes of the adult in an urge to ‘teach’ or ‘educate’, simply to dominate, or by the worker’s own unplayed out material. In my previous post I touched on this idea of ‘unplayed out material’. That we, as adults, effectively haven’t finished playing the things we played as a child, or that we’re compensating now for play we didn’t do, might come as something of an eye opener to some of us. After all, adults don’t play, do they? Adults get on with life, and children play. No, of course not. Of course adults still play. We go to the pub, play sports, tell jokes, dance, pull faces, etc., etc. We play. I’m still wondering if this means we’ve all got unplayed out material in us. If that’s true, if we’re invited into children’s play, maybe we can’t help but adulterate that play with our own play drives. I’ve been reading various blog- and social media material recently and I know that those writers are on the same general wavelength as me in my approach to children’s play (because I know a lot of those writers anyway); however, I do wonder sometimes if the observation of children’s play, the involvement of adults in the child’s play, isn’t verging more towards being about the buzz the adult gets out of it all. My fellow playworkers, don’t get me wrong here: you are appreciated, and I get a buzz from play too. This is it though: our own ‘unplayed out material’ can be appeased in these ways of involvement in the play of children. Is that play-healthy for the children? I mean, sure they’ll often let us know in no uncertain terms if we’re not wanted or needed, but when we are accepted into the play, does the whole buzz of play swing our way? We’ve all been there, let’s be honest, when we’re in the play and we have an idea of how things can shift direction, and we say it (as in, ‘I know, what if we try this . . .?’), and the child accepts, and we get the stuff, and we play the play, and the child follows along, and we have another idea, and before long the child moves on to something else . . . Sometimes, in these ways of playing, the child can get the buzz too. All seems fine. Yet this is what I mean when I ask if it’s play-healthy: it’s not so easy to differentiate if you’re taking over the play or not if the child is buzzing along with it too. It’s worth repeating again and again that children’s play is not about you. Your play is your play . . .
Children do often invite (cue) the adult into play though, right? Children do often seem to very much want the adult to be involved. This is a really moot point for some playwork writers out there: children should play with other children and not with adults. I have no problem with the idea that children playing with other children is what they need most; however, in play settings (where adults are necessarily there, and this is often considered to be an unnatural state of affairs), and more pertinently outside play settings, in family situations for example, children do often — though not always — have a very great desire to involve adults in the play. This is what does happen. When this does happen, and here’s the repeated thinking again, isn’t that ‘unplayed out material’ type of adulteration bound to occur? (I write this as someone who has read in and around the deeper gestalt levels of the Colorado Paper, the ‘analytic third’, and so on). Obviously, this is a delicate and sensitive task and open to many kinds of adulteration, but it is one we see as being central to the judgement and skills of playwork practice. They’re saying, as I read it, that it’s children’s play but we may be sensitively involved in that. However, I come back to the idea that ‘unplayed out material’ adulteration is bound to occur if the adult is invited into the children’s play. In other words, being PC (playwork correct) about it all: children have invited the adult into the play (see playwork appropriate intervention styles: wait to be invited to play) therefore — now being non-PC — from their perspectives, children are accepting that adults will play too. Perhaps, and also whisper this quietly in playwork circles, children are sometimes actively seeking adult play ideas by way of their involvement. I know, playwork aficionados: saying that is tantamount to heresy! I don’t write this to justify any personal recent involvement in children’s play, I write it because I’m thinking it through. Let’s get back to towing the party line (for a few lines here, at least). My disclaimer is that I do understand the theory and the practice involved in the sensitive preservation (‘holding’) of children’s own play ‘frames’ (that reflective integrity), and the potential for adulteration and what that means, i.e. that we might be involved but it’s about the child not the adult. The idea of adulteration is that the adult can, but shouldn’t, impact negatively on the playing intentions of the child. In my own thinking, this amounts to an ‘unfaithfulness’ to the play and, I suppose, to the playing child. It’s true to say that all true playworkers, the converted to whom I preach, get a buzz out of the observation and consideration of play; some may even get a buzz from involvement by invitation in children’s play. The buzz could soon become more about the playworker though. After all, don’t we all have unplayed out material in us? Get back to the PC: we need to know that children’s play is not about us. We need to be able to differentiate between their play and our play. Yet, shifting away from the PC again, children do often invite us into play, and maybe — maybe — they actually want our play ideas sometimes too. The heresy of it! This can’t be right, can it? All my playwork nerves are starting to get very anxious at the suggestion of it. I have an urgent need to try to talk myself out of this. Children’s play content and intent is about them; it doesn’t have anything to do with what the adult suggests. How can children’s play that includes the adult’s ideas then be the children’s play? The play becomes a fused engagement: it is the product of the play of the child and the ‘unplayed out material’ of the adult. Medial intervention (Colorado Paper): Following the issued play cues of the child, the playworker becomes involved in the essential structures of the play. The immediate frame of the child’s play now includes the presence/ideas/wishes/knowledge/authority and status of a playing adult. The playworker is reading this frame, and their involvement, at the same time as being a playing participant. How do you know your children are out of sorts? Or just slightly more than simply out of sorts? Sometimes they’re just not themselves, not there in themselves; something almost too tiny to spot for other people who don’t know them well. What do you see that, to others, just gets absorbed in the whole slop and swill of the play space they’re in? What tells you that you’re focused hard on your children as individuals? Do they get spooked by strange things, things that don’t usually bother them? Just tiny agitations that others might ignore or not pick up on. Things like momentary, out of character and only very occasional selective mutism. Things like a fleeting irrational response (even more irrational than the irrationality that play is). Things like a sudden look or twitch? Do they give up on their usual play cues? Are corners or other places in the environment – where unreturned or rejected cues happened – shied away from, ignored, taken aggressive grievance against? Can you see the usual manner of cues, for any individual child, shifting slightly into other types of cues? Do the children you’re observing, focusing on, find it difficult to absorb themselves in the play flow? What’s causing this? Are they preoccupied, do you think? Is there too much or too little stuff? Are you in the way? Are you in the way even if you think you’re well out of the way? Following on from some of Bob Hughes’ thinking, in the quantum world – the science of the very small – at the atomic level, the instrument used to observe an electron (so, a light beam) affects that electron. Zoom back out: is it the very fact that you, the instrument of observation, are observing that child that affects their ability to drop into play flow? Is the child out of sorts because of you? Is the child associating what happened with some play resource, on any other day, or in any other place with a similar play resource, in a negative way? Did the feel of that resource affect them, or the way it broke suddenly, or the way it fell down and trapped them underneath for a few seconds? Do your children seem to merge days and play and resources into one huge swill? Is it as if time and space and objects can be easily interchanged with other time/space/object constructs? That’s not to say your children can’t differentiate, simply put, one place or time from another; rather, I wonder how time and space runs through children. Just how much are your children picking up on your own mood? You’re hot, you’re tired, you’re hungry, you’re feeling slow to respond. You do respond, return cues; you do this in good time for your child to be vaguely satisfied, but it’s all vague, it’s all ‘not quite quality enough’ for them. They know you’re returning, though not in those words; they know you’re mostly there; they know you’re not totally with it. Their subsequent play cues aren’t exactly aberrant, dys-play, perceivable as aggressive, ‘wrong’: they’re just listless cues. They cue but they half-cue. How do you know when your children are out of sorts? Do you know them well enough, within the context of the general slow-motion maelstrom or great huge whirl of the whole group, to be able to look beyond ‘they’re feeling tired, unwell, hot’? What’s unseen, beyond what we usually see? Where do you start on a new blog? In the middle. Jump right in, I guess. 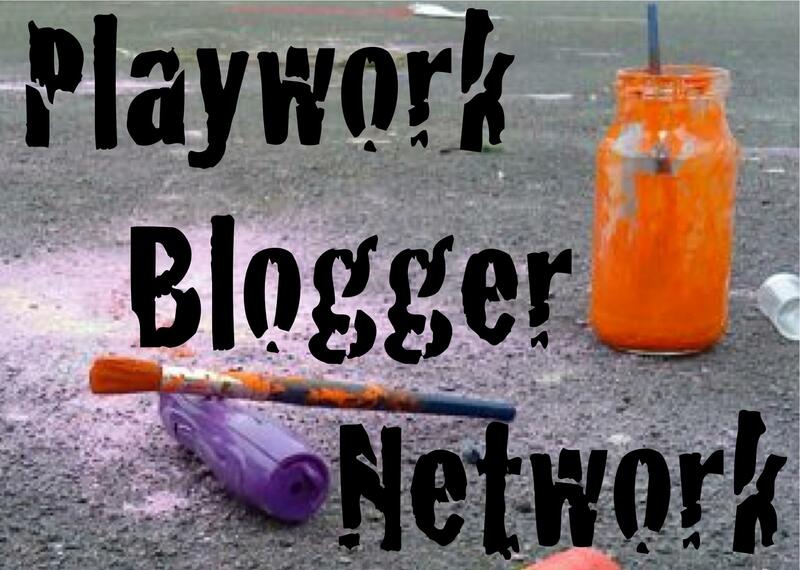 So, to get things kick-started, there follows a version of a posting I made recently on the Playwork Bloggers Network forum. Morgan Leichter-Saxby asked: Do adult-structured activities have a place in playwork? This throws up the question of children’s freely chosen play. Recently [in the PBN forum], I wrote: The question asked must depend on what this thing called ‘structure’ is. Vicky Edwards wrote: Would you agree it’s more of a case of the children not knowing how to play how the adult wants/thinks they should play? Suzanna Law wrote: Sometimes it’s not all that simple. And ‘structured play’ might fall into this category. Morgan wrote about: Adults having an ideal form of play that they expect to see, and then viewing children’s other choices as somehow deficient. I’m reminded of Gordon [Sturrock] and Perry [Else]’s writing in the Colorado Paper (1998), where they make reference to Heidegger’s thinking on freedom not being limitless but contained. Now, this is easily misinterpretable. As I understand it, in the context of what’s written in that paper, by developing our own frameworks, containers, boundaries, ‘structures’, call it what you will, we can engage in freedom within the boundedness of our play ideas. It is the play idea of the player. It is not an imposed structure. The child at play creates the play frame and the playworker can help to preserve the meaning of this frame. The child has choices and freedom to manoeuvre in that engagement. Perhaps the playworker’s containment is a form of ‘structure’ in itself, but it’s a holding of the frame created by the child. It’s not imposed, the child’s frame ‘shape’ is negotiable by way of play. So, this makes sense to me. ‘Structure’ isn’t a simple concept. Sometimes children will want, and do often enjoy, adult-devised things to do (activities). That said, there’s also an argument to say that children operate only in the realms of what they already know or are accustomed to. ‘Consult’ with children about what food/activities they’d like and, often, they’ll tell you about what they’ve had/done that day, or last week, rather than what’s outside their experience base. So, if children are only offered ‘structured’ or imposed activities, they’re not going to know what creating their own frameworks of freedom feels like. And sure, children will sometimes engage in play in return for some extrinsically motivated reward (call it bribery!) Done too often though and a negative Pavlovian stimulus-response loop gets set up. That said, we should give consideration to the concept of ‘free will’ (not in the theological sense, but philosophically). OK, distilling all of this down, where I’m going with all this is that children ought really to be deciding their play, of course, and if they want to use the clay to make pots and dragons and nests and stuff, fair enough; however, adult structured ‘now today we’re doing clay or football or drawing, that’s it, choose’ is about the adults’ needs for structure for the sake of it, order, control, dominance, a quiet time, outcomes, the playcare brand, etc etc. I should write my own blog!